Dragon Authors, Erin Michelle Sky & Steven Brown, writing sci fi and fantasy books for teens and adults. – Find good books to read at great prices, or share your own great finds of the best fantasy books and the best sci fi books, in an open and inclusive reading community. You knock on the door. Through the ancient wood you hear a rasping croak: A visitor! Yes! We love visitors! Welcome! We’re Erin Michelle Sky & Steven Brown. Together, we love writing sci-fi and fantasy. We also love gaming, finding great gifts for book lovers, and talking about great books we read. Drop us your email to follow our new releases, or to follow our reviews of other books you might love. To all our generous patrons: THANK YOU for your support! More ways to show us some love. Want to know when The Wendy sequel is coming out? Here’s how to follow the series. Make sure you don’t miss Tales of the Wendy, Book 2! Tantor is producing an audiobook for The Wendy! We’re already in production, and it should be up for pre-order as early as May. Want to know when it’s available? We’ll be glad to drop you a line! We’re not just authors. We’re readers! When we find books we love, we share them on our blog. (Hey, that’s how we roll.) Check it out to see what we recommend while you’re waiting for our next book! 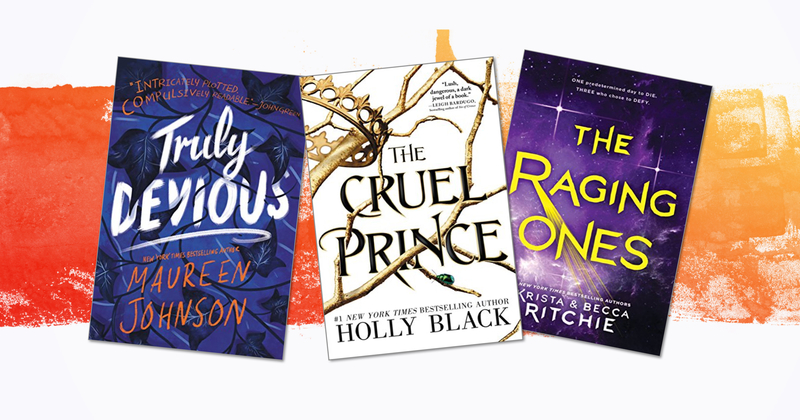 When we opened the Goodreads October YA newsletter, our jaws hit the floor. There was The Wendy, listed alongside books like Tomi Adeyemi’s Children of Blood and Bone and Holly Black’s The Cruel Prince as one of the hottest new YA series of 2018. We honestly couldn’t believe it. We’re thrilled and overwhelmingly humbled to be included in such a distinguished list. To all the amazing readers who cataloged the book on Goodreads, bringing it to their attention, thank you! You are the BEST and we love you all! In other news, The Wendy has also been included in this recent Ezvid video of 9 Fantastic Novels For Fairy Tale Fans. If you’re a booktuber and you include any of our books in your videos, we’d love to hear about it! And remember to tag us in social media posts @DragonAuthors! Or follow our RSS feed in your favorite blog reader!